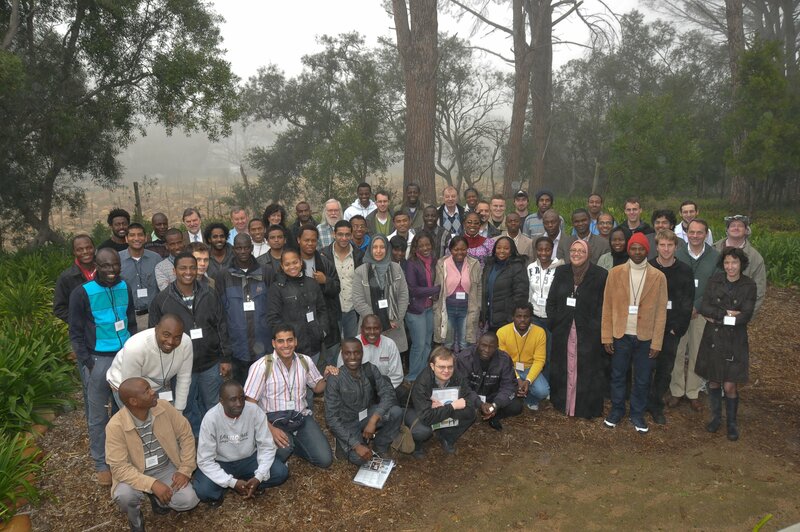 Students from 17 African countries took part in the first African School of Fundamental Physics and its Applications (ASP2010), which took place this month in South Africa. The school, organized by several physics laboratories including CERN, not only met but in some cases far exceeded the students’ expectations. Their enthusiasm made the organizers’ efforts worthwhile. The participants to the first African School of Fundamental Physics and its Applications photographed with some of the school's organizers. The first ASP received a great deal of interest in the African community and the organizers had a hard time selecting between the very motivated applicants. “The participating students were selected to come from various backgrounds and education levels”, says the head organizer, Christine Darve. “At the school the students, lecturers and organizers shared the same dynamism and this allowed everybody to build durable networks in a physics world without borders,” she continues enthustiastically. The school was also a great opportunity for participants to establish new networks and professional links. “Some of them are already thinking about how to establish new links and scientific collaborations”, confirms Christine Darve. Naima Zahar from the University Hassan II in Morocco concludes: “I will never forget the organizing committee, Christine Darve and Steve Muanza. They were very nice and helpful”. The next ASP will be in two years; the venue will be decided in October. The ASP2010 website with programme, sponsors and contacts. Out of the 150 applications received by the organizers, 60 of the students selected came from Africa, representig Algeria, Cameroon, the Democratic Republic of Congo, Egypt, Ethiopia, Ghana, Kenya, Madagascar, Morocco, Nigeria, Rwanda, South Africa, Senegal, Sudan, Tunisia, Zambia and Zimbabwe. One student each came from Canada, Germany, India, Switzerland and the US. The programme lasted three weeks, from 1st to 21st August, and it included lectures on physics, acceleration and detection techniques, as well as related technologies. The school was held in Stellenbosch in the "Rainbow Nation" of South Africa, and was sponsored by 14 Labs and institutes around the world and four governmental institutions.